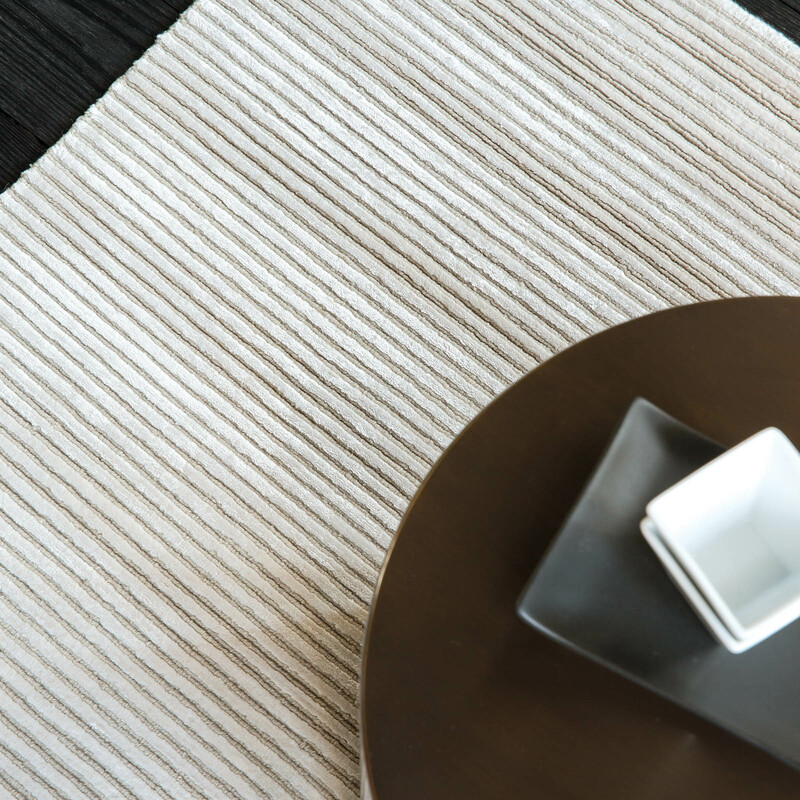 Reflect rugs 111.001.601 from the Uni collection by Ligne Pure are hand knotted using a combination of the finest 35% wool and 65% viscose yarn to create a soft and lustrous centrepiece. The chocolate brown pile features a ribbed effect which achieves a unique look that will bring comfort and texture to any modern room setting. Pile height of 6mm and approximate weight of 3500g/m².